Last week was the mythics (I just bought 8 more Dream Eater, I’m not all-in but it’s a cheap spec) and now it’s time to dive into the rares. Assassin’s Trophy ($25): It’s a good card, a good answer, and I have to say I’m glad that Modern now has several strong reasons to include some basics: Path to Exile, Ghost Quarter, Field of Ruin, and now this. Yes, it’s good. It’s super-versatile. It’s good enough for Standard but the drawback is very real in that format. I don’t think it’s got legs in Commander, either. For one more mana, you’ve got Maelstrom Pulse with zero drawbacks and the potential to kill a token horde. 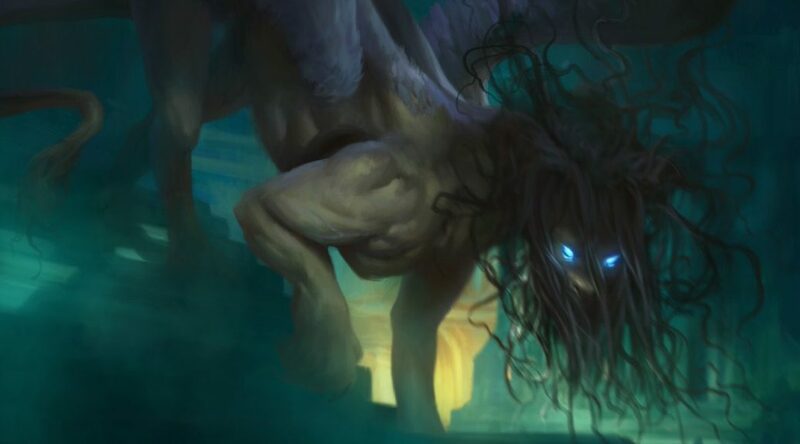 Sorcery vs instant, yeah, but EDH has a lot of answers that don’t come with big drawbacks. I do think $25 is about right for this for now, I find it unlikely that it’s going to be a more expensive card. Beast Whisperer ($1 regular/$8 foil): I can easily see this being a $10 foil, but that margin is so close that I’m not moving in yet. I will tell you that when this drops (and it will) I’m going to be gauging this closely. We have several variations of this effect for Modern and for Commander, but none this cheap as a creature and definitely none as an Elf. It’ll be a bulk rare in nonfoil, so be patient. Chromatic Lantern ($5/$10): In a couple of weeks, it’ll be even cheaper. Get what you need for Commander and maybe a couple extra. It’s not going to dip too much further–I’d imagine that $3 is about the floor on here. This is the third foil printing (counting the super-sweet Invention) and so I’m not going to be hellbent on the foils. Citywide Bust ($1/$4): This is cheap enough that I’d like to get a few in anticipation of a good UW control deck showing up in the next two years, as that’s how long Guilds of Ravnica will be in Standard. We have Cleansing Nova for a while, but this strikes be as a fantastic answer to the Green Stompy decks that will be running around–and one that Boros decks will mostly avoid being hit by. The great part about when this is four for $1 is that when it bumps to $4 and buylists for $2, you’ll get a lovely chunk of store credit. 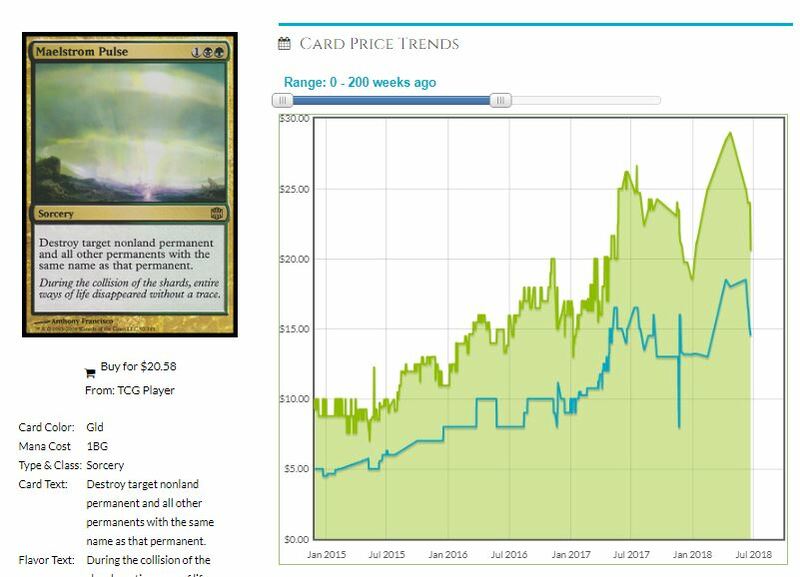 Ionize ($2.50/$9): One thing I’ve learned over the years: don’t count out the value of incremental, free effects. Vapor Snag was brutally efficient in its day. Somehow, this price is higher than I thought it would be, meaning that more people are buying it than anticipated. Is this the replacement for Disallow’s rotation? We’re getting counter/surveil 1 in its place, but getting that damage in is real. Knight of Autumn ($6/$25): Abrade kept all sorts of artifact strategies in check the whole time, much like Dromoka’s Command did for a range of plans. The Knight will fill a similar role, being good enough to maindeck in Standard, and being exactly what’s needed at the time. I think this nonfoil price is spot on, but the foil needs to fall some before I’m in. Mission Briefing ($8/$36): I think this card is totally a player in Standard, but it’s pretty lame in the other formats. Snapcaster Mage being able to attack or block makes it tremendously better. It’s the difference between Regrowth and Eternal Witness, or Naturalize/Reclamation Sage. Having a body attached to an effect is just really good. Plus, the Mage is easier to cast than the Briefing. This will see play, but not enough to warrant this price. It’s already fallen from the initial $15 it was offered at. Omnispell Adept (75¢/$7): This might as well have “COMMANDER GOLD” tattooed on its head. Thank goodness this is five mana, but it’s one of those ‘kill it before it wins the game’ cards. I will be targeting these foils when they fall back to the $3-$5 range. Risk Factor ($3/$7.50): Folks, this card is bad. It is a bad card. This should be the bulkiest of rares. I’ll link you what Bill Stark wrote about Browbeat and giving the opponent choices. I’ve played Browbeat in assorted burn decks and it seems like it should be good but it isn’t. It just isn’t. Don’t play this card, and don’t let your friends play it either. It’s worse than Browbeat, and that’s barely fifty cents for being a rare 12 years ago. Ritual of Soot ($1.50/$6): This is a fantastic sideboard card in Standard, and will never make you any money. Stay away. Swiftblade Vindicator ($2/$5): So many things are good with this card. Mentor, combat tricks, Aurelia, etc. Thankfully, it’s not good enough for Modern Humans, but it’s going to be a big game in Boros for the next two years. 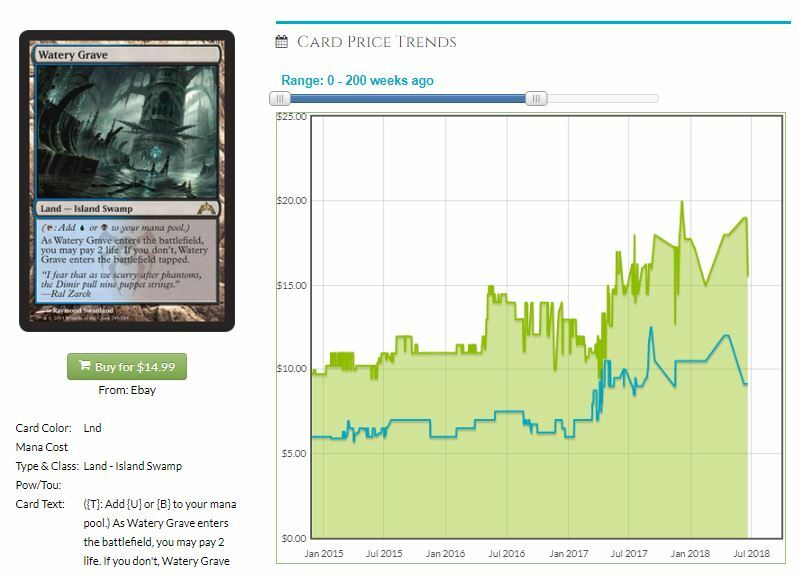 I think this is a buy right now if you’re going to play the deck, because it’s going to do well at first, climbing to maybe $5 before settling back down for about a buck. Helpfully, you’ll never play just one or two of these; it’s the full four or none at all. Six years to go up $6? Nope, we can do better with our money. The Shocklands ($6-$10, foils about 3x the prices): These aren’t going to very far up or down. There’s a whole lot of these out there, as the third printing of the big fall set PLUS the Expedition versions floating around. These are the go-to lands in Modern, a very reasonable alternative to triple-digit dual land prices in Commander, and the cycle is good enough even for powered Cubes. Not much else to say, but I’ll add that I would not attempt to stock up on these when we move on to the next set. We’ve got the double whammy of people who already have a bunch of them from other sets and the extra inventory that exists in stores. One color pair would have to be backbreakingly overpowered if all that inventory was to be drained and raise a shockland’s price. Fyi Browbeat is an uncommon. It was 2.50 until reprinted to dust. I don’t think you understand how good risk factor actually is in mono red burn. Either way in that deck it adds more burn damage or it adds more burn damage. And with Jump start you turn topdecked lands into the same effect again.